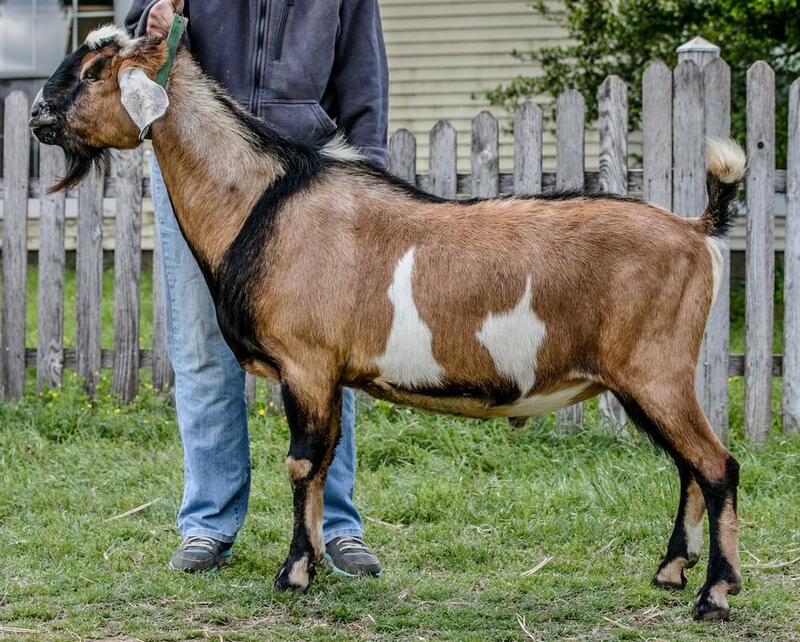 Amelia, Fancy's dam finished her permanent Championship in 2015 with a Best Doe in Show win. Amelia made us very proud when she was 10th place in her 4-5 yo milker class at ADGA Nationals in 2013. Fancy was the last kid born in 2015 and the wait was well worth it. She is indeed like her name...very Fancy ! We retained her 2018 doe kid (Kleopatra) as this breeding represents long term planning that is finally coming together. (Line breeding on Jacobs Pride Cloud Chaser and Kastdemur's At Your Service). We are thrilled with Fancy's mammary as a 2nd freshener.